ACUPUNCTURE - Magic or Medical Science? 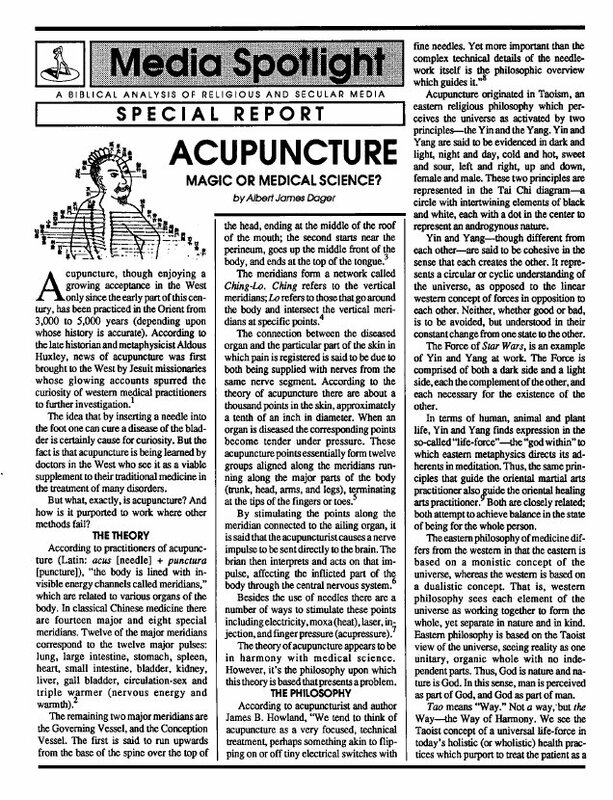 This study on acupuncture reveals the mystical side of what is promoted as a legitimate healing practice. 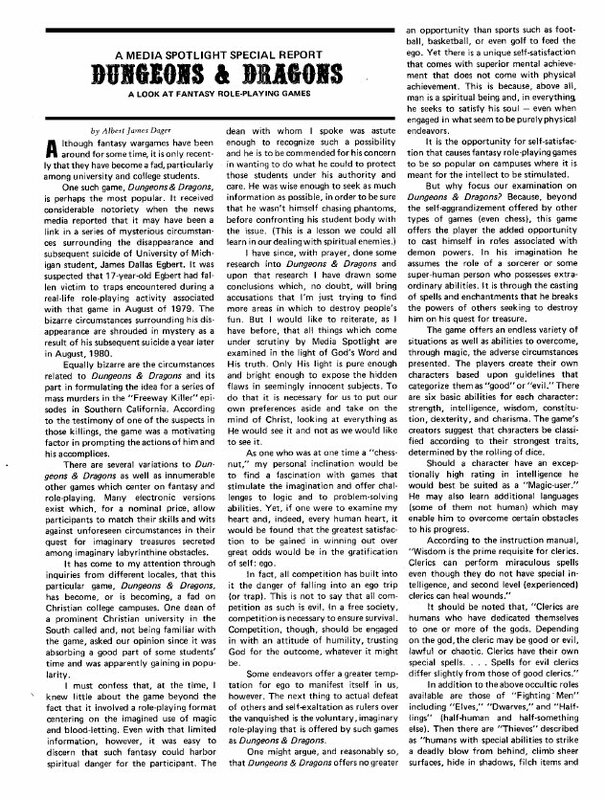 Christians must be knowledgeable about eastern medicine in order to avoid the spiritual influences which are not generally found in western medicine. Both stem from ancient occult arts, and both may be utilized insofar as treating our still-unregenerated bodies. However, there are certain psychological and spiritual excercises that have crept into healing, and are germane especially to eastern medicine. Find out how you can know the difference and protect yourself from inadvertently falling into the trap of eastern mystical occultism. 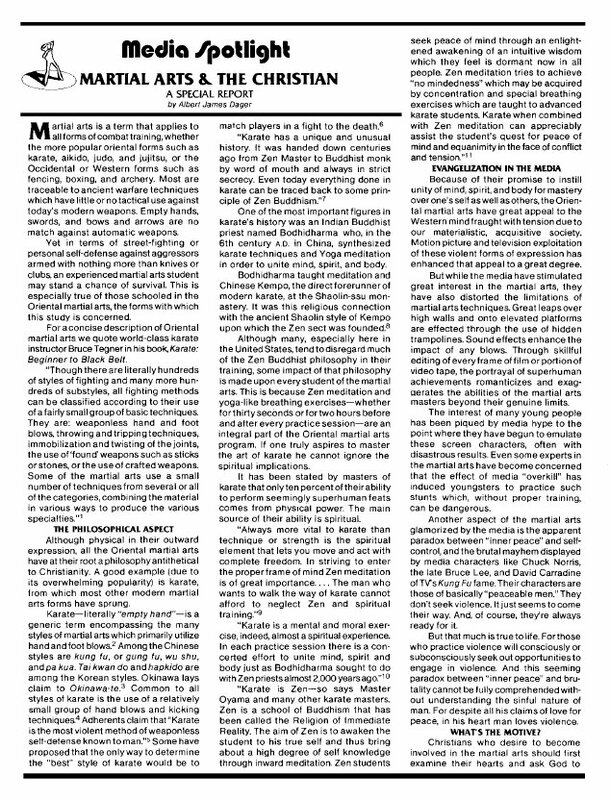 The particular game of Dungeons and Dragons has in some cases given way to other similar games, some just as occultic, others more or less so. This critique of fantasy role-playing games offers some sobering warnings about the evils that lurk behind seemingly harmless fun. In 1942, Martin Bormann, head of the Nazi Party, stated, "If we National Socialists [Nazis] speak about 'faith in God' we do not mean the same God as the naive Christians. . . . The natural Force which maintains these innumerable planets in the universe we call the Almighty or God." Obi Wan Kenobi gave an almost word-for-word definition of the Force in the original Star Wars movie. 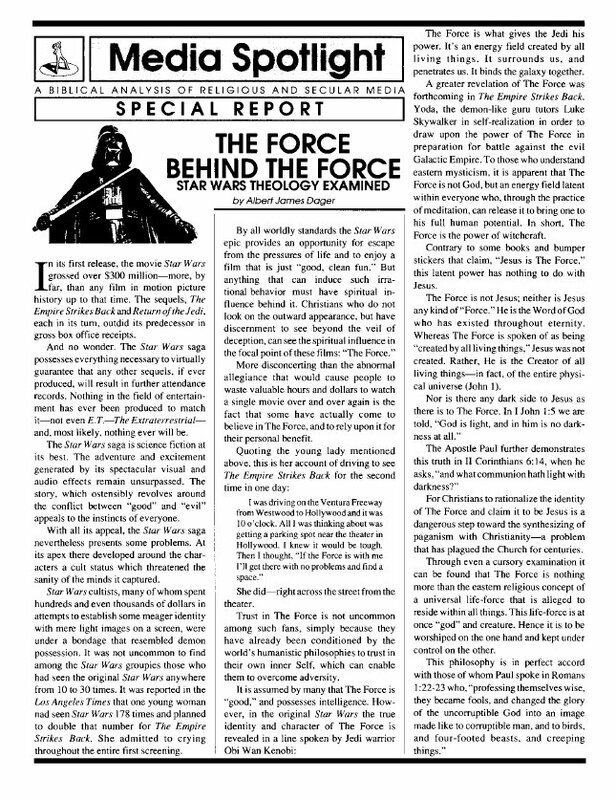 There is a theology behind the Force of Star Wars that is diametrically opposed to biblical faith. Yet Christians think the Force is just another name for God. There is a reason the dark side of the Force is cloaked in Nazi-like storm trooper garb. In truth, the theology of Star Wars is as ancient as witchcraft, and is packaged in a fun-like form for consumption by gullible Christians and non-Christians alike. Bormann was right when he described Christians as naive. Many Christians, including some well-known teachers, are using martial arts techniques to calm themselves, and even to attract youth for the purpose of "evangelizing" them. But this ancient form of warfare is not compatible with the faith delivered to the saints of old. It is founded in Zen Buddhism, and has no legitimate place among true disciples of the Lord Jesus. 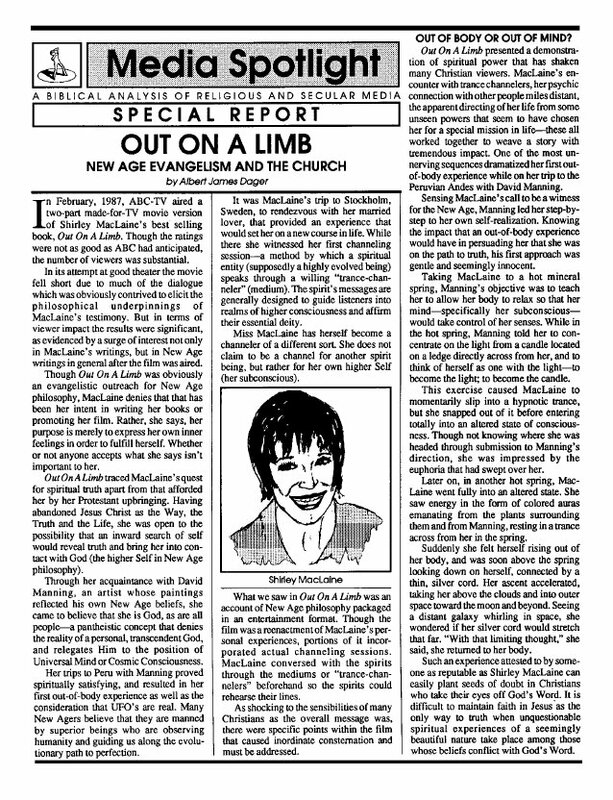 Actress Shirley MacLaine has greatly influenced many people with her New Age brand of mysticism. Christians may benefit from knowing exactly what her philosophy entails in order to speak intelligently to friends who may be caught up in this philosophy. This report may help in that respect. Did you know that the unicorn is the symbol of a future conqueror who is expected to bring peace to the earth? 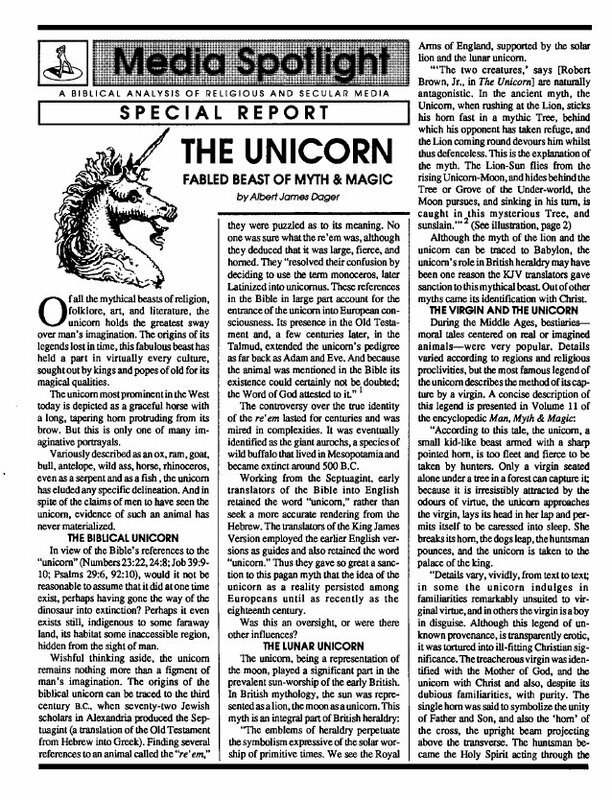 Many Christians find the unicorn appealing, unaware of the spirit behind it. There is much more to the unicorn than is known by the average person. This report will inform you of its more anti-Christ implications.